The Internship Program has a range of opportunities for undergraduate and graduate students in accredited academic programs requiring practice-based internships as well as clinicians in the field requiring supervised hours towards licensure. The Clinical Internship Program offers clinical enrichment and support as you accrue clinical hours with no cost supervision under a LCSW. As a resident therapist, you will provide screening, diagnoses and treatment for children through adults. The internship offers flexibility, autonomy and support, custom tailored to your goals, interests and needs. Only a select amount of slots will be offered. FALL DEADLINE: August 24th, 2018. Therapists interested in starting their own practice but uncertain about the next steps, costs, and ability to manage the additional workload of private practice, this program is for you. It is a unique opportunity to receive guidance and support with the steps to launch your own practice while working as an independent contractor. We are accepting a Medical Biller Intern looking to gain experience working in a mental health setting. You will be exposed to electronic medical records, checking eligibility of clients, billing & coding, follow-up for unpaid or denied claims, appeals, client phone calls, office management and more. The right candidate must currently attend a medical billing program or have recently graduated. You are expected to have working knowledge of determining eligibility, able to multi-task, familiar with explanation of benefits, excellent communication skills and possess a professional demeanor. Previous Billing experience a plus. Do you have a passion for all things digital? Do you love the idea of being the voice behind a brand’s online personality? We are currently looking for an intern who excels in social media and has a particular interest in developing a brand. Candidate will be responsible for collaborating with clinical team, developing informative, and evocative social content for the practice social channels and blog. The right candidate is able to multitask, should be interested in technology, social media, online trends, and familiarity with mental health. Candidate will have to demonstrate excellent oral and written communication skills, working knowledge of Facebook, Instagram, etc. Current student in Marketing, Communications, Social Media, or similar field preferred. We look forward to having you as part of our dynamic team. 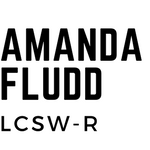 Please direct serious inquires to amanda@amandafludd.com.